A reliable and popular choice for long-lasting power. These economical batteries offer reliable performance at a great price. Use in your low drain, but highly important devices, such as smoke detectors, flashlights, clocks, alarms and toys. A reliable and popular choice for long-lasting power. 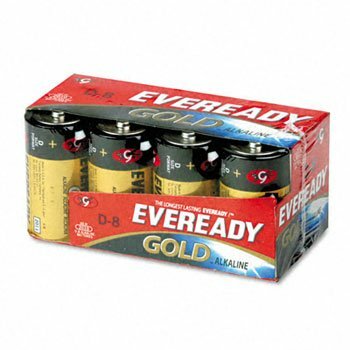 These economical batteries offer reliable performance at a great price. Use in your low drain, but essential devices, such as smoke detectors, flashlights, clocks, alarms and toys. Global Product Type: Batteries-Alkaline; Battery Type: Alkaline; Battery Size: D; For Use With: N/A. If you have any questions about this product by EVERDY, contact us by completing and submitting the form below. If you are looking for a specif part number, please include it with your message.